We are enlisted amidst the top ranking manufacturers of Marble Temples. 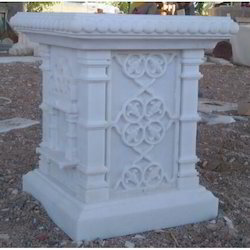 The quality of White Marble home temple offered by the company is in high demand among the clients for its use to place the idols of various gods and goddess. 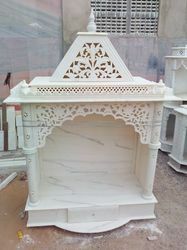 Customers are delighted with the availability of Marble home Temples in unique designs and excellent finish at affordable prices. We are offering Decorative Marble Tables for establishing in home corner or shop or even corporate places. These temples are available with different designs and size suitable for every kind of place. 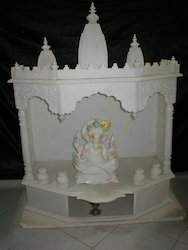 We are the exporter of these Customized Marble Temples made of finest white marble. Tulsi Pot Planter offered comes with exciting design finish as well as provide for comfortable usage value. 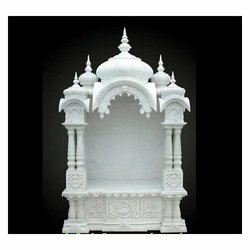 White Marble Temples offered is made available by us under item number MEP 241 and comprises white marble home temple that is available in net finish with a single dome in size of 48x 36 inch. Other than this, we can also offer it in 3 dome finish in size of 35 x 50 inch. Well recognized for their flawless crafting and design standards, these marble temples are highly demanded for their unique designs as well as excellent finishes. 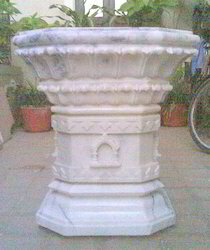 Marble Tulsi Pot Planter offered can be made available in different sizes as well as in flawless finish choices. As a manufacturer, supplier and wholesaler Marble Tulsi Pot, we have marked our name very strongly in the market of exports. These come in a number of different sizes. These are made available to the customers as per the requirement. 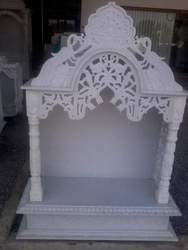 Home Marble Temples offered is made available under item code MEP 240. 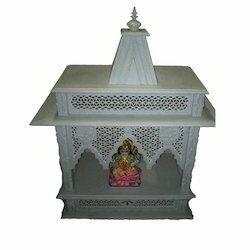 Comprising white marble based home temple in net finish with 3 domes and size of .35 x 50 inch, these temples are well recognized for their flawless crafting work and aesthetic values. Having a high global demand, these temples are perfect to place idols of gods and goddess. We can also offer these in other customized finishes as demanded by customers.